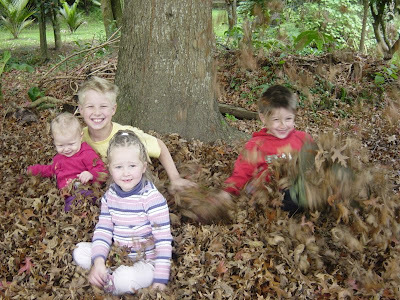 I can't believe how popular the autumn leaves are with the kids at our place at the moment... they spent all afternoon (after school) playing in them, building piles, jumping into the piles, moving them onto the trampoline, jumping on them on the trampoline... yay for autumn leaves! 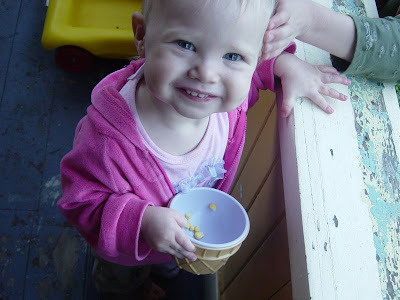 Okay - here is a random parenting tip for any desperate parents out there, with grizzly children right on dinner time... frozen corn in a little bowl works a treat! It is my lifesaver right on dinner prep time... and the baby loves throwing it over to the chickens from the porch too!